The Quantum iLife/iNfinity APP Only $997! Transform your iPhone or iPad into a portable quantum biofeedback product. When you or your clients need instant balancing you can just pull out your iPhone or iPad and get results instantly. This product has been developed for the last 6 months and has passed rigorous testing. Get & Give instant balancing ~ No matter where you are in the world! TThe PFG2Z is the best sold function (frequency) generation device. Some people know this devices as rife device, rife generator, frequency generator. Biofield Viewer™ system is co developed by Dr. Thornton Streeter and John Catchpole. The Biofield Viewer™ software combined with the controlled imaging environment allows for visualization of the light photon interactions between the light source and the human biofield. The Scalar Wave Laser combines the most advanced cold laser technology with state of the art quantum scalar wave technology. All of our soft laser systems are portable handheld units designed to be used by lay persons or professionals alike. All of our Quantum wave Lasers come with a rechargeable ac adapter and users manual. Immersing oneself in this Intrasound signal through the use of the powder and the gels and lotion raises the vibratory energy level of the body to a higher octave, resulting in the increased ability for the body to heal itself. This highly compact, tDCS tool is modeled around a USB Flash Drive. The flash drive contains an extensive tDCS Exploration Workbook: Experimentation Guide and Journal, printable information, reference material, and video suitable for printing, viewing, and/or editing on almost any PC, tablet, or smartphone. Just set the timer on your iNfinity to 16 minutes and enjoy the enhanced benefits of Quantum Feedback at it's finest! Type "SAVE" as the coupon code to receive our 10% Special Introductory Discount. (For Limited Period Only). The embedded Workbook, Guide and Journal are what makes this instrument unique and adds the most value for any potential customer. It is planned to have future updates incorporating even more new montage additions available for download directly to users’ computer or tDCS unit thus making this clearly the most evolving and dynamic unit available at any price. Enagic, Kangen, Jupiter and Chanson are only some of the popular water ionizers on the market today! However, Life Ionizers tops the charts when it comes to good quality alkaline ionized mineral water. They are a progessive water purification and filtration company with the BEST prices and awesome promotions! If you or a friend suffers from any skin condition you just have to try 100% Organic Ozonated Olive Oil which has medical grade oxygen! The results we have experienced first hand has led us to offer this product on our website. You may notice all the other products are biofeedback related, however we felt this was just too good and people had to know about it. The LIFE System is a revolutionary balancing device for health and wellness. 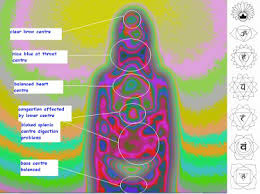 The LIFE System identifies the stresses on the body at the electro-magnetic level. Then, through biofeedback it provides data in the form of recommended homeopathic solutions, electro-acupuncture, meridian and naturopathic balancing, to the practitioner and client/patient in easy to understand numbers, charts and text.